My first impression upon listening to the very beginning of this album was 1980s sci-fi drama. Then I looked at the track list, and I quickly picked up on the Alice in Wonderland theme. The album art also reinforces the mystery and fantasy of the music, and it adds to the mystique of Drifting Sun. The English band dates back to the early 1990s, when keyboardist Pat Sanders moved from France to England. After forming a band, Drifting Sun released a couple of albums, but they put the project on pause after 1999’s On the Rebound. In 2015, Sanders decided to revive the band with Trip the Life Fantastic. The band is now composed of Peter Falconer (vocals), Dan Storey (guitars) Pat Sanders (keyboards), Manu Michael (bass), and Will Jones (drums). Falconer’s vocals set a high bar for this band. His voice is smooth, warm, and mysterious. The band lives up to his voice masterfully. The guitar is clear, with layered keyboards, supporting bass, and drums full of chops. The production is also quite good. 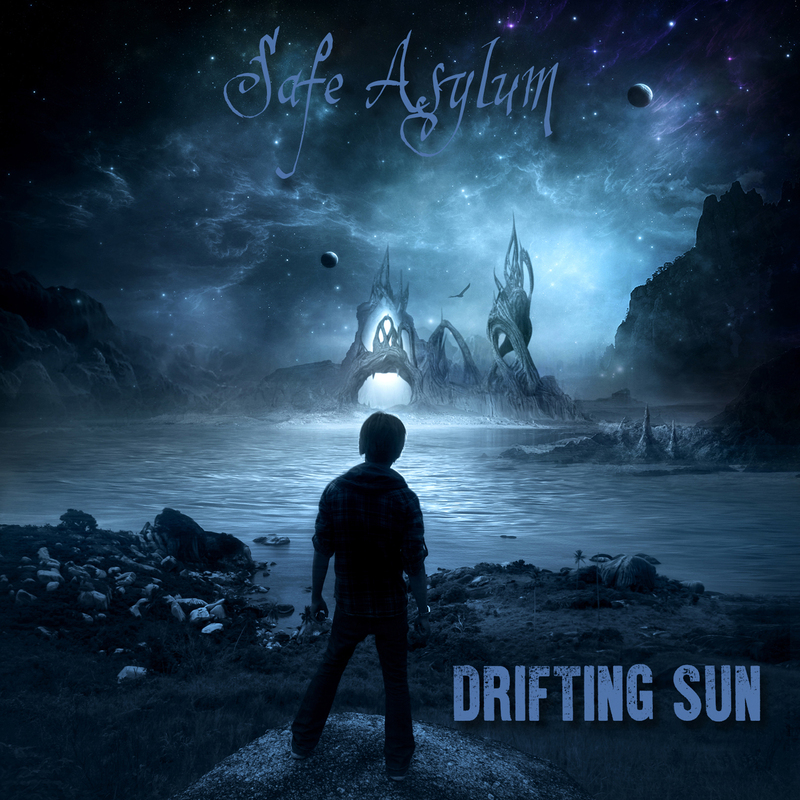 In short, Safe Asylum is what you would expect from a progressive rock album in 2016. The 80s vibe I picked up on in the beginning gradually dies off over the course of “King of Hearts,” although it pops up here and there across the album. Sounds of the 70s, both with keyboards and organ, pop up in just the right places, as well. This is a very keyboard and guitar driven band. Not ones for being stuck in the past, however, Drifting Sun embrace the prog rock and metal sounds of today rather warmly. There was a split second in “The King of Hearts” where I had to laugh at myself for spotting a build up in the song that reminded me of Bigelf‘s “Incredible Time Machine” off of 2014’s Into the Maelstrom. One of the nicer moments in the album comes with the fourth track, “Alice.” The band dials it back, allowing Falconer’s vocals to shine. The music is backed by simple piano, acoustic guitar, and a string quartet. The song adds a sense of fantasy as a young peasant boy calls Alice to come live in Wonderland. “Alice” is followed by “Wonderland,” which I can only describe as having a Corvus Stone feel to it, just not quite as wild. As Brad Birzer noted in his review of the band’s 2015 album, even though the band is talking about fantasy, they treat it with absolute seriousness. They act as if they are retelling true events, which only adds to the quality of the music and the story. Most importantly, it isn’t corny. One of the things I miss from the previous album is the prevalence of clean piano playing. Safe Asylum features a myriad of keyboard sounds but not much piano. However, this is merely a matter of personal taste, and I thoroughly enjoy the album as it is. The keyboards are very well played, and the sounds produced throughout create a motif fitting of a fantasy story or fairy tale. All in all, Drifting Sun wonderfully combine story telling with excellent musicianship. The music draws upon some of the best elements of progressive rock of the 70s, 80s, and of today. Safe Asylum is another great album from 2016 worthy of your attention.